Full suspension set up to race standards. Including all dampers removed, springs checked for poundage and dampers tested on our dyno. Checking and setting of ride heights, cambers and castor. Tracking chassis alignment and corner weights. Full written report. £200.00. Some of the common problems found during set up include rear axle toe out, lack of articulation and not square to the chassis centre line. At the front – lack of castor angle and poor bump steer control. We can correct all of the above problems plus any others that may be present. Chassis repair and modifications. 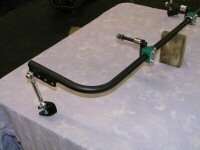 Everything from replacing a couple of bent tubes to a full LA front or rear end conversion. Gearbox rebuilds (4 speed). From £100 plus parts. We can also supply all the parts – gaskets, rings, bearings, pistons etc. that we use in our race winning engines. Carbs overhauled and rejetted. P.O.A. 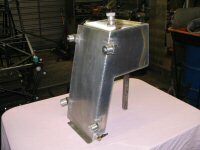 Workshop services – we can fabricate parts from alloy or steel using TIG and MIG welding (tanks, wishbones etc.) plus lathe work and milling. 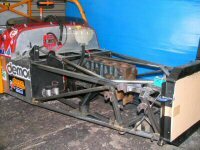 Trackside support -- Benefit from our 25 years of experience working on seven type race cars to get the best out of your race car, to be reliable and safe leaving you to enjoy your racing. NEW - Arrive and Drive – Coming 2012. We have been race preparing this type of car for over 20 years.